one of my favorite things about this time of year is the availability of Bob’s Sweet Stripes. i love, love, love them! 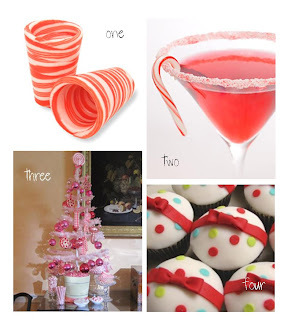 they have inspired this week’s reason to revel with their red and white Christmas-y striped goodness. 4. holiday cupcakes, these are the cutest things ever!